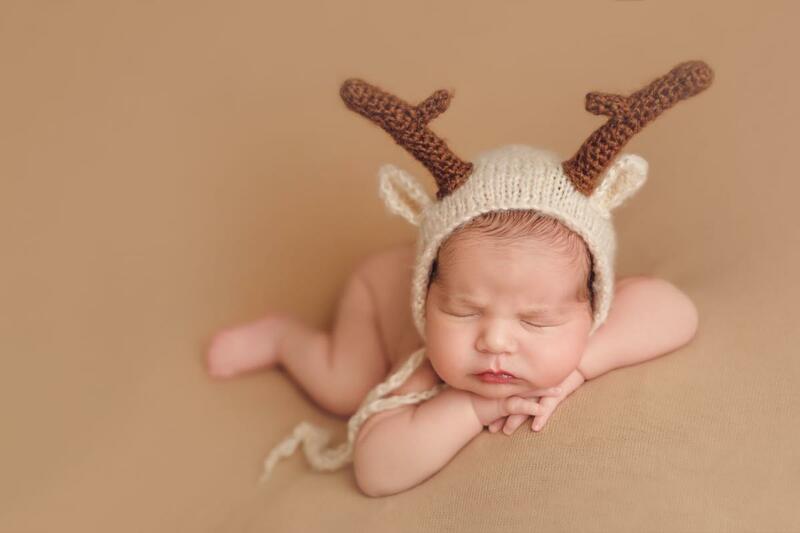 Little hat with reindeer antlers made with soft mohair yarns. 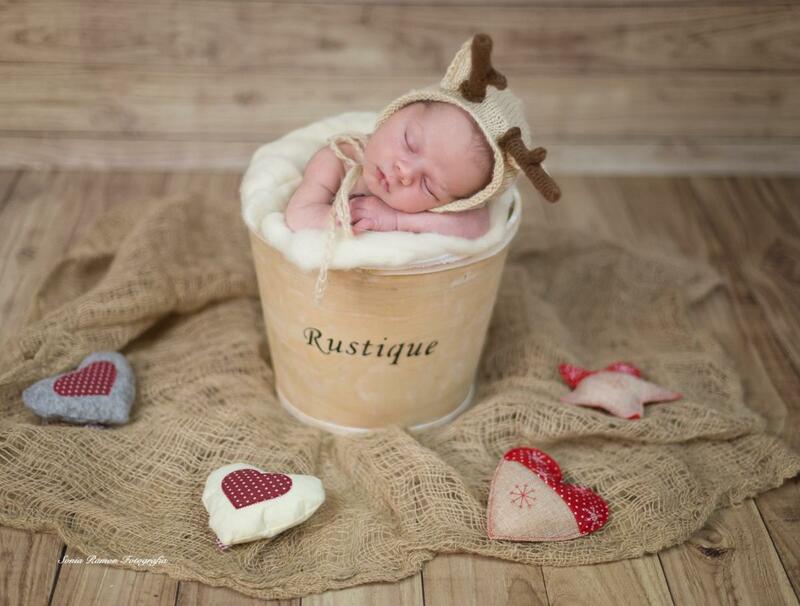 Due to its measures, this hat is ideal for newborn babies. Perfect for your Christmas photo sessions, both outdoors or in-studio sessions. Colour: beige hat and brown antlers. Approximate diameter of this hat: 13 cm.